Love getting inked? It may cost you a job! Having a tattoo can reduce your chances of getting a job, but it depends on where the tattoo is, what it depicts and if the job involves dealing with customers, a new research has found. Mr. Diamant had the same tattoo, the number 157622, permanently inked on his own arm by the Nazis at Auschwitz. Nearly 70 years later, Ms. Sagir got hers at a hip tattoo parlor downtown after a high school trip to Poland. It deserved front-page news, apparently: Cheryl Cole had her backside tattooed. The image of her colourful bum entirely covered in a tattoo of intertwined roses was uploaded onto Instagram on 24 August by the artist Nikko Hurtado. 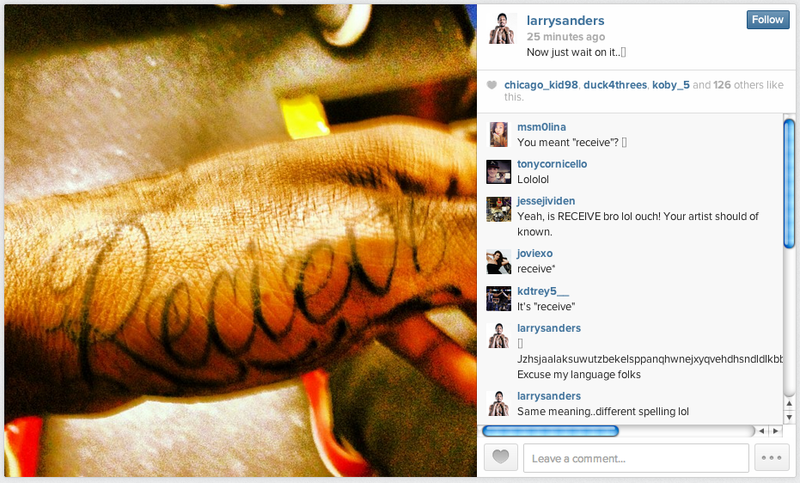 If you're going to get a tattoo, you should probably double-check the spelling. 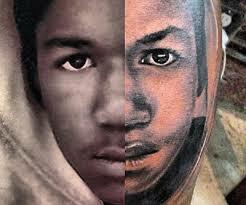 The rapper, also known as Jayceon Tarrell Taylor, got a picture of the slain teen's face added to his leg earlier this week, a copy of a black and white photograph of Martin in a hoodie that has been widely circulated in the media since his death. 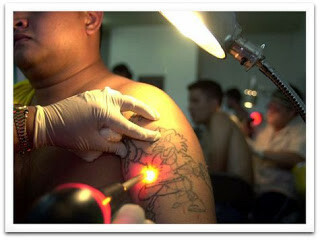 Current laser tattoo removal involves several painful sessions with a nanosecond laser. The laser breaks down the ink into particles that can then be removed by the body. A pair of patterned leggings are causing trouble over at Nike. 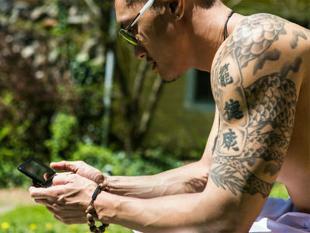 The tattoo-like print on the brand's Pro Tattoo Tech Tights has sparked ire in Australia and New Zealand for its similarity to pe'a, the traditional male tattoo of Samoa. 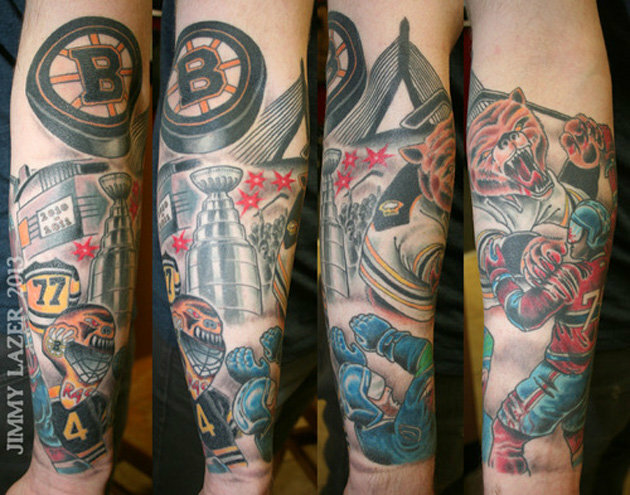 Why yes, that is a bear (or some sort of bearcat... thing) in a Bruins jersey violently and bloodily mauling both P.K. Subban and a Sedin. Because of course it is. 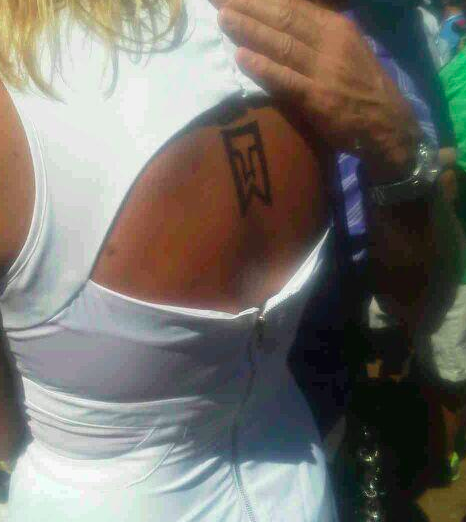 This is a lady at the PGA Championship with the Tiger Woods logo tattooed onto her back. 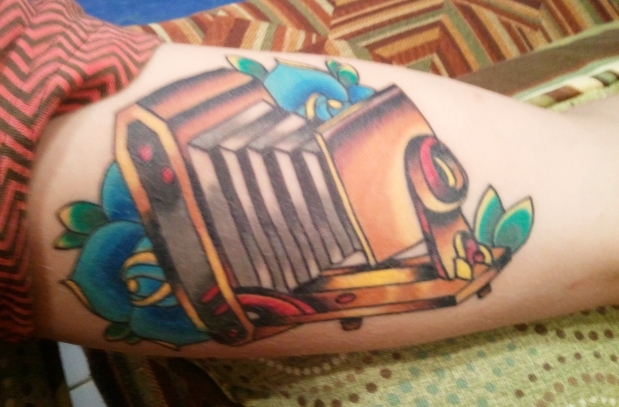 My oldest son Owen’s first tattoo — a vintage camera — was unveiled in early June on a hot afternoon, just a few days after his 21st birthday. Miley Cyrus has added more ink to the canvas that is her body. Courtney Love is really excited about her up-coming tour and working title album, Died Blonde.